Hackers threatened to ‘wipe Israel off the Internet.’ That so did not happen. Eli Lake talks to the hackers who launched the counter-offensive. 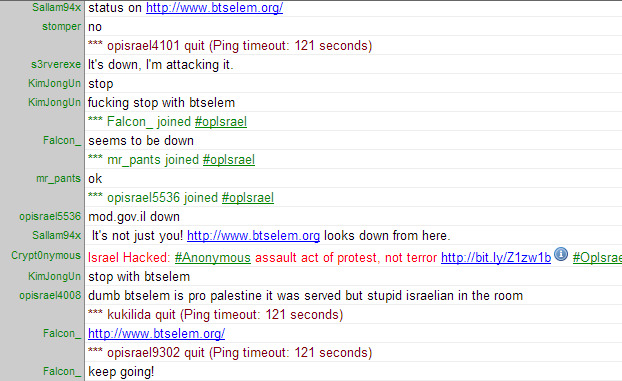 So far, OpIsrael appears to be an OpFail. As of Monday, no major sites were shut down or defaced, says Ronen Kenig, director of security solutions for Radware, a cyber-security firm that has analyzed attacks on the Israeli Internet. Though OpIsrael claimes to have done damage to more than 100 websites in Israel, including the press office for the Israel Defense Forces, Kenig says he has seen no evidence of that. “From the hackers’ point of view it’s a total failure at this point,” Kenig said in an interview. Instead of taking the Jewish state offline, the attack from Anonymous roused a group called IsraeliElite, comprised of a dozen pro-Israel hackers. One of the founders, who calls himself Mitziyahu, told The Daily Beast that the group formed on April 5, a few days before the OpIsrael attack, as a way to restore the confidence of Israelis in its own hackers. While Israeli websites had been attacked in the past by Anonymous, IsraeliElite noticed that Israelis were more worried about the pending cyber-attack this time around. IsraeliElite attacked a string of sites, according to its own releases sent out on Pastebin, a posting site favored in the past by Anonymous and its spin-off groups like Lulzsec. In a process known as “doxing,” the group revealed the online identity of an anti-Israel hacker. The group also claims to have infiltrated a series of Palestinian Authority websites as well as an Iranian bank, a Pakistani bank, and websites affiliated with the government of Turkey. The group says it then brought down websites affiliated with Hezbollah and the Syrian government through a distributed denial of service attack, or DDOS. These attacks flood a server with junk requests until it can’t perform basic functions for normal users, and eventually shuts down. In the interview, Mitziyahu would not say much about his identity. He said he’s not a “white hat,” or a hacker who works to identify system vulnerabilities for the government or private companies. “Technically I launched the idea, but it was a joint venture of some very old friends,” Mitziyahu said, siting the screen names of several of his cohorts, including Oshrio, xxtr, Kavim, md5c, bl4z3, gal-, Buddhax, Mute, gr1sha, nyxman, amenefus, TheD34thAngel, Aph3x and TGOH. In another move, IsraelElite says it tricked some of the OpIsrael hackers into attacking the website of Btselem, an Israeli peace group that documents human rights violations in the Palestinian territories. On Cryptome, OpIsrael claimed to have access to files from an Israeli security company known as Decell Inc., which it said was a company owned and operated by Israel’s ministry of defense. The document says Decell analyzes cell phone traffic from cars as well as GPS data for the Mossad and the Israeli internal security service. One of Decell’s engineers told The Daily Beast that it’s a privately held company, and said he did not know of any website defacement or intrusion into the network. Nonetheless, the message from OpIsrael published a list of web addresses of what it said was Decell’s client base. 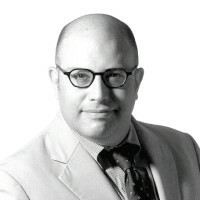 Parmy Olson, the author of We Are Anonymous and a technology writer for Forbes, said the latest OpIsrael attack was a “successful trolling measure,” or the kind of attack that is aimed at angering the target but not necessarily causing permanent damage.